Kitchen remodeling is a multi-step process, but we’re here to guide you through it with expertise and understanding. It is extremely important to us that you are involved in every phase of your project from the initial design meeting to the moment you sign off on a job well done. When you choose Christie’s, we give you full access to a team of professionals with decades of experience. They have created warm, inviting spaces for an endless stream of satisfied customers. We stick to what works, so your kitchen remodeling process will begin with this type of hands-on consultation. Read more about our personalized design consultation services. Cabinets are one of the crowning jewels of every kitchen build. We have a wide variety of kitchen cabinets to compliment your kitchen remodeling job. When you stop by our showroom during the final phase of the design process, you can see samples from each brand we carry. 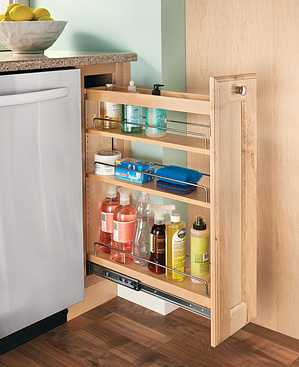 Touch and interact with your cabinets before you bring them home. Experience the difference between maple kitchen cabinets and cherry cabinets. See your cabinet choices interact with your paint colors and window dressings. Surprises can be fun, but not during a construction project. We do everything we can to remove the guesswork from our jobs. Each of these fine cabinetry brands are installed by a trained craftsman who adheres to our impeccable standards of quality and service. We install hardy countertops that withstand the wear and tear of a busy, modern kitchen. They will also compliment your flooring and cabinets thanks to our design team. We love it when a plan pulls together. Call us today to schedule your free design consultation.